> The most dangerous road in the world � THE ATLANTIC OCEAN ROAD! 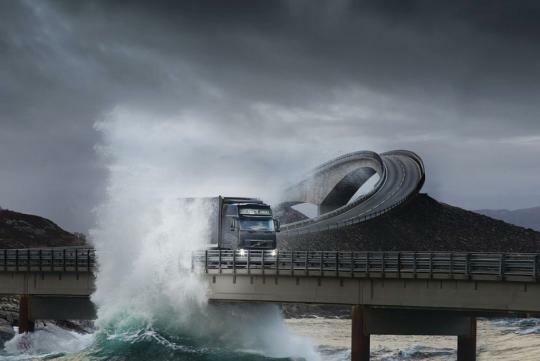 The most dangerous road in the world � THE ATLANTIC OCEAN ROAD! Take a first person view along the Atlantic Ocean Road! Bends, twists, wildlife and spectacular scenery are the ingredients that transform an Atlantic road trip in one of the most beautiful experiences in your life! The Atlantic road passes a very dangerous west coast of Norway, named Hustadvika. Breathtaking storms which deviate the area have brought the end of many ships over time. But when the ocean is quieter there are spectacular views of the open water surface, being driven by a variety of birds, seals and even whales. By no means is this the most dangerous road in the world. That dubious honour probably goes to El Camino de la Muerte aka Death Road, aka the Yungas Road in Bolivia. But this Norwegian road is certainly one of the most spectacular roads in terms of scenery. It's really astonishing.The Atlantic ocen road can compare with the Tibetan Road in China. But the cars drive on the left side of the road. I tot Norway vehicles are all left-hand-drive ? ?